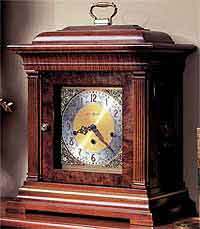 The Howard Miller Samuel Watson 612-429 Mantel Clock was named after the famous English clock maker of the late 1600's. 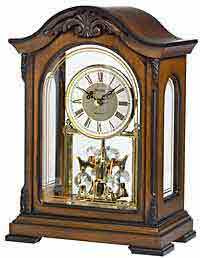 Hand-glazed, Cherry Bordeaux finished mantel clock. 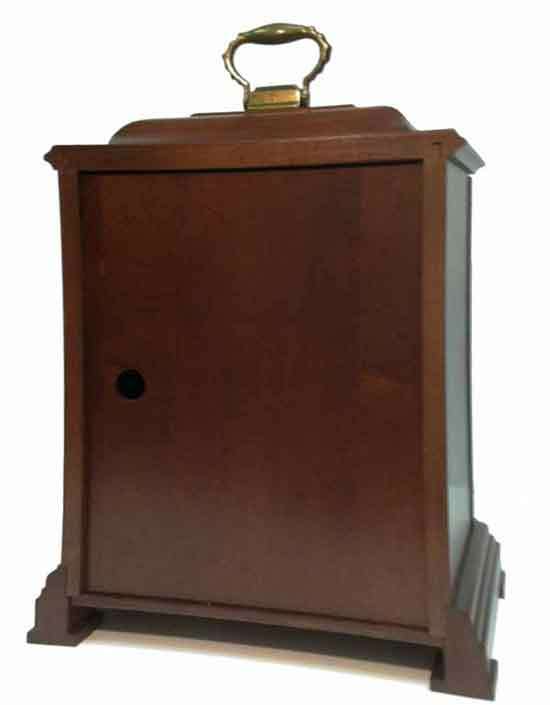 The hand-crafted case is all wood in cherry with a solid carved arched cherry top. 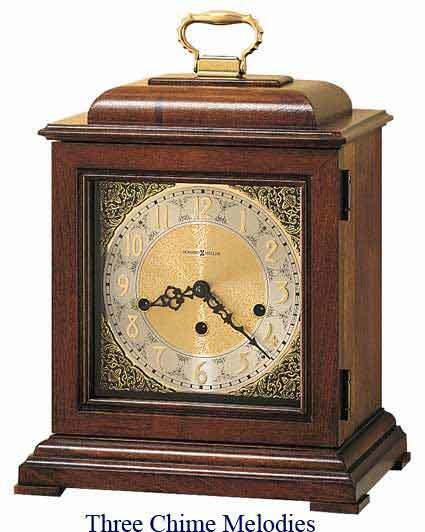 Brass finished dial with silver chapter ring. 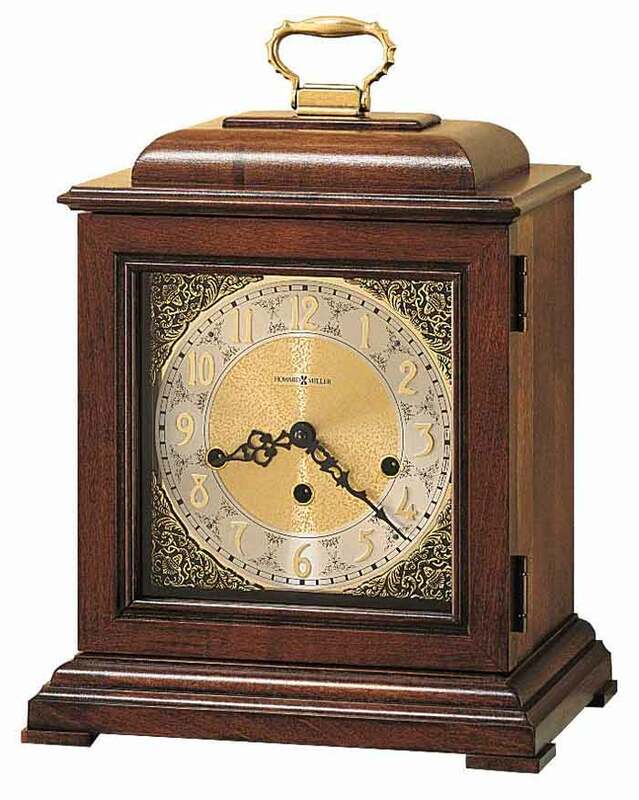 The solid cherry front door is hinged from the right for easy opening to wind the clock once a week. 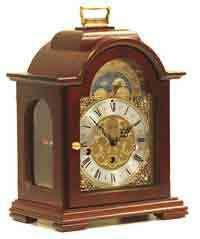 Size: Height: 14 3/4" Width: 11" Depth: 7 1/4"
Clocks for sale at The Clock Depot including the 612-429 at discount prices.